The National Finance Institute | MFAA preferred trainer | broker training, finance and business courses | Learn how to be a broker or a BAS Agent. 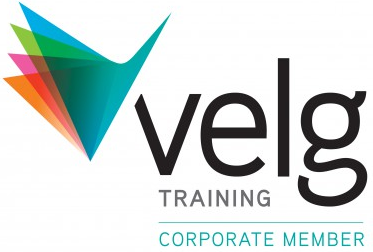 If you have been searching for a specialist training provider that delivers results, then you've found the right place. NFI delivers a range of flexible courses for both aspiring and experienced finance and business professionals, Australia-wide. With Certificate III, Certificate IV and Diploma courses, we offer face to face workshops, correspondence study and online e-learning. 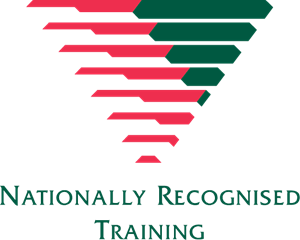 The National Finance Institute is a Registered Training Organisation (RTO), national provider number 31203 and we've been providing finance and business courses since 2004. Well over a decade of experience. And YES, we accept Paypal and have Payment Plans. Recognition of Prior Learning - Send your email to enquiries@financeinstitute.com.au and we will send you the procedure and application form or Click Here to go to our RPL information page. The cost per RPL qualification is $695 for mortgage broking submissions or $995 for bookkeeping/accounting or other qualification submissions. Some aggregator discounts may apply. All qualifications that we offer may be achieved through RPL if the applicant has at least two years' experience or more in the relevant industry. Boost your CPD hours/points further through completion of a short, professional and/or personal development online course - many topics. You can Click Here to see the full catalogue (pdf). Continuous Professional Development sessions - half day / full day / two day - many topics, or we can customise to suit! Examples: How to take your broking business to the next level; Marketing for Franchisees - customised seminars / CD's / Marketing material / Motivating techniques for Franchisees! Future dates for our Professional Broker Session Seminar will be announced on our home page. Webinars are delivered online, previously once per month, as a subscription based program covering a variety of relevant topics. As from 1/7/15, our webinars are only conducted occasionally throughout the year. Scenario Workshops - you've got the qualification but do you know how to handle tricky clients. This one-day workshop will take you through a range of scenarios you may encounter in your role as a mortgage broker and help you solve a variety of loan application issues that clients have. See Course Schedules for the next Scenario Day Workshop dates. The NFI team have worked with and researched many of Australia's most successful mortgage professionals - the knowledge and findings gained from these experiences have been incorporated into our courses. Our team have been there, we've worked in the industry, we know what works, we won't just bombard you with theory. Whether you are just starting out, or a single-person operation or a national company, NFI has a cost-effective solution for you. Through an experienced team of trainers, our face-to-face courses are best described as exciting, interactive workshops that inspire you to succeed. If you have no time for workshops, visit our Online Learning page to see what is currently available online. If online learning is not for you, then the same courses are available through distance learning/correspondence so you can study in your own time without having to be behind a computer. NFI can offer you the opportunity to train for a new career or, if you're already in the industry, you might like to sharpen your skills, upgrade your qualification or develop additional revenue streams for your business. Click here for the MFAA's education requirements for membership. We would be delighted to hear from you, so we can contribute to your future success! Thank you for your notification. I’m so glad to hear the good news. Thank you for your online course, I learnt a lot from it and I will certainly choose your courses to meet my CPD requirement. Very impressed. Even with all the information covered, the want to keep my brain going was high. So very happy and excited to complete the rest of my assessments. The trainer was so friendly and conducted her training in an interesting way and made it easy to understand. We like to interact with her. It was a good course. Hi, my certificate came today! Wow, I can’t believe how fast it was. Thank you all so much for everything , it was such a pleasurable experience studying with NFI! Please tell John I say thank you as well. Regards. I would like to heartily give thanks to “The National Finance Institute” team for the outstanding “face to face workshop” and all the help and support during and after the workshop. A great resource that puts the essentials of mortgage broking marketing into one, easy-to-read handbook. While it isn’t rocket science, the handbook provides the fuel to propel an average business to improved heights. Your handbook is totally focused and relevant to the marketing efforts of mortgage brokers. We have already started to implement just a few of the many ideas and programmes and have no doubt that positive results will follow. An excellent product that I strongly recommend to all brokers. We are a husband and wife team, totally new to mortgage broking. We have resigned from our IT jobs and have gone into mortgage broking full time to give it our best shot. After some research, we decided to make your Handbook our bible. We are going to implement it to the letter and spirit and with full energy and faith. Insightful in expectations and how to keep clients happy – great motivating ideas. Excellent. I really appreciated the real life examples outlined to correlate with each learning module. Hard to improve upon. Ten out of ten. Fantastic! Well presented and extremely informative. Due to the small groups, information was easy to understand. I found the practical case studies particularly helpful. Very diligent to all trainees’ needs. I found the course very informative and the one on one aspect cleared issues immediately. I recommend it to all! Very professional and easy to understand. Anecdotal input invaluable. Keep up the good standard. I’m new to the industry and thoroughly enjoyed the training. Good teaching styles, very knowledgeable and ongoing supporting documentation very thorough. Thank you so much for this! Trainers obviously have a lot of experience in this field which gives great weight to everything said. I enjoyed studying the Cert IV in Financial Services as it was so practical, easy to follow, comprehensive and I feel has given me good grounding. My trainer was very helpful each time I contacted her. Thank you for making the journey a smooth one. This was a very relevant and well presented course. I enjoyed it and learned an enormous amount of new knowledge. I have today received my exam results which will complete this program for me. Many thanks to the Trainers involved and their preparedness to address issues raised by students, it has been most helpful. I have certainly gained a much better understanding of this area because of this program. I just want to thank you for the efficient handling by NFI of our Cert IV upgrade. As you know we are powering along very well at the moment with around 25 brokers in my team nationally. When I sat in your classroom just on 4 years ago, I had no idea that my business would have grown to where it is now. Thanks for the great training you provided back then. It was an excellent platform to launch my career from. I do a lot of extra training [courses] at work and this has been the best course I have been on in a long time. I really found the training exceptionally good, in depth and realistic. Easy to understand. Trainer was very informative and had a very good grasp of all topics presented. Very happy I chose the classroom option of the course. Full of stories and humour which makes difficult terminology and concepts become real and not theoretical. I really loved it ….. and handbook is fantastic as all information is there to look up, thank you. The training session was very informative and the presenter was knowledgeable and approachable. He made sure to keep the tone light and fun despite the seriousness of the content. This made it easier to keep focused. Very educational through (trainer’s) own experiences. Made it easier to relate to scenarios that we may be presented with in real life. Extremely professional. If the presenter had little experience this would not suit me. Peter’s stories, examples and experience were a great value add. Presenter experience was very valuable. Materials excellent – easy to understand. Great resource. Thank you for the fantastic facilitation of the Cert IV in Financial Services. I really enjoyed the day (RPL workshop) and was very impressed with your style of teaching. It made what would normally be ‘dry’ content into a really engaging and interesting course. So thank you! I will definitely be recommending your company for future training requirements. I have really enjoyed the course and found the NFI program to be very comprehensive with practical ‘hands on’ advice that will serve me well as I begin my career in the mortgage industry. This is only the start of my training and I know I have a lot to learn! At least I know I am off to a good start. I thought the trainer was brilliant. The way she presented material helped make sense on how to implement in business. It gives you the confidence to then go ahead and self-learn for the future. Very good style, trainer listens to students and interacts very well. Good material. Best course attended in a long time, thank you. I have gained a fantastic understanding of the mortgage industry and believe that this course is an excellent preparation for any individual, like me who wants to enter the industry and be successful. Thank you for delivering the course material in easy to read text and for the invaluable research tool it will become for reverting back to at a later stage. In closing I would like to thank you for allowing me the flexibility to complete this course as an external student and have enjoyed it immensely. Thanks a lot for emailing me the certificate. It is really a great course as the materials are organised. And I have also reviewed all the comments of assignment and exercise and it does help me to take points. Thanks again. I will come back to you guys when I need further professional knowledge. The course was fantastic and the lecturer was wonderful in every aspect. Very good fun and easy to understand. Excellent facilitator – great presentation. The course was very informative and well presented. A pleasure and very helpful. Very good teacher. I have learnt a lot this week, even though the material was not new to me. The trainer proved to be very knowledgeable, enthusiastic and helpful. It made the four days very enjoyable. Thank you and well done. Thank you for the course, it was great. Peter was the consummate professional. I have been impressed with the professionalism of NFI at all stages of the course and I will be recommending your institution to people I meet that are thinking about mortgage broking as a career. I have learned a lot from this course, thanks for providing such an excellent course. I hope I can find a mortgage broker job with my knowledge. Great webinar, information was very informative. Liz is an outstanding and engaging trainer with a deep knowledge of the content and industry. One of the best educators I have experienced. Very clear trainer with informative instructions in relation to this course; Would highly recommend. I attended just the one day “top up” for the Diploma course. The content for the day was exactly what I wanted so that I can complete my Diploma studies. Fantastic course! Liz encouraged us to speak up when not sure about something, very friendly, relaxed and professional! Trainer was brilliant!. Professional, engaging 100% of the time. Spoke clearly and made me feel extremely at ease in the class. The course covered the info well. Love it and recommend to others. Excellent presentation skills; course material was explained very well. Fantastic course, so glad I changed from Kaplan. Liz was brilliant, clear and concise. Made the training enjoyable but also I personally learnt a heap. Just a quick note to say a big THANK YOU for your assistance, support and understanding throughout my enrolment with the Cert IV mortgage broking course. When it comes to studying new things, my preference is to learn in a workshop setting (which you do offer). But my mentor chose to pay for and enrol me in the online course, so I didn’t have much say in the matter. As I have no previous industry experience, I found the course challenging, but not too over-whelming. The material was presented in an easy-to-follow format, and it has helped me learn the basics of becoming a mortgage broker. I am especially impressed by how you were able to put yourself in my shoes and understand me. I can’t wait to start on the Diploma, knowing that I can call on you for assistance if I get stuck. I would like to commend your organization on the layout and interface used in the online course Certificate 4 Accounting as well as the swift service. The interface is very streamlined, logical and user friendly. Liz was good. Lots of industry experience clearly helps. It was very useful for me and I am so happy to have Liz’s class. Fantastic, couldn’t imagine doing this by correspondence. Face to face course was amazing. It has been a pleasure studying through you. Alison was great. Very quick to respond to my questions and very helpful when I didn’t understand things. Thank you so much for making my studying easy and such a pleasurable experience. Liz is incredibly knowledgeable and has a great presentation style. For dry content she certainly makes it a fun environment. Liz was an excellent trainer, gave me confidence to start my new venture. Can’t wait. I had a minor heart attack when looking over the course content at home. But at the workshop Liz presented the information in a clear and concise way, which finally helped me to understand the finer details of the assignments. I just wanted to thank you Peter very much for the fantastic Cert IV course you provided over the past 3 days in Melbourne. I have to say that it was one of the most interesting and well presented courses I have been on (and I have been on many – especially IT ones!). Your obvious passion, expertise and real-life examples were much appreciated! Personally, I think it’s good to attend the workshop instead of doing it online as you can learn a lot from other members’ questions and experiences. Liz is superb, she is perfect for the role, very approachable, genuine, caring and articulate. I wish there was more publicity about the Diploma workshop being suitable for commercial lending. If I knew I would have stayed for the Diploma. Excellent trainer, loved every minute of the course!!! Fine food, amazing venue. Fantastic choice to choose this course. Much appreciated and thanks! Keep in touch! I love this course and it proves to be beyond my expectation. Thank you very much Peter. How to touch and retain our clients was the most valuable topic to me. As someone new to mortgage broking, I found the topics very valuable to me. And in last topic Peter gave us advice on how to build up and maintain our client base. I think this is very valuable to me. I’m so glad to spend these 3 days with Peter. I have learnt a lot, not only the techniques but also he gives us a lot of advice on how to be a good broker. A great experience. “Peter, thank you for your time the past few days, it was awesome to engage with your experiences and knowledge, and I truly learnt so much that I know with certainty will help me grow. Fantastic real life scenarios and actual practical experience. One of the best trainers in my long professional career as a chartered accountant. Thank you Liz! The course was fantastic. Liz was excellent, made the topics very interesting, so it was easy to understand. Thank you so much for your prompt response. You are an excellent marker. The National Finance Institute is lucky to have someone as efficient as you. Even though I work in the industry already, I thoroughly enjoyed the course. I was engaged and learned. Thank you..
Peter, thanks once again for your efficient service and prompt attention. I will be sure to recommend more people to you in the future. All topics helped me and gave me knowledge to start my career. Liz was absolutely delightful, not to mention insightful, easy to listen to and engaging. I found this course extremely helpful in understanding the role of a mortgage broker. Was very impressed, thank you.